Rent villas and apartments in Lazise, Italy with private pools. Book affordable holiday rentals that are near a golf course. This 2 bedroom villa with private pool is located in Mattarana and sleeps 6 people. It has air conditioning. This 5 bedroom villa with private pool is located in Mattarana and sleeps 10 people. It has WiFi. The villa is within walking distance of a beach. This 2 bedroom apartment with swimming pool is located in Colà and sleeps 4 people. It has air conditioning. This 2 bedroom apartment with swimming pool is located in Colà and sleeps 6 people. It has air conditioning. The apartment is near a beach. This 3 bedroom apartment with swimming pool is located in Lazise and sleeps 6 people. It has garage. The apartment is near a beach. This 2 bedroom apartment with swimming pool is located in Lazise and sleeps 6 people. It has WiFi, air conditioning and garage. The apartment is within walking distance of a beach. This 3 bedroom apartment is located in Pacengo and sleeps 6 people. This 2 bedroom apartment is located in Pacengo and sleeps 4 people. This 3 bedroom villa is located in Pacengo and sleeps 6 people. It has WiFi and air conditioning. The villa is near a beach. This 2 bedroom apartment is located in Lazise and sleeps 4 people. This 2 bedroom apartment with swimming pool is located in Lazise and sleeps 5 people. It has WiFi, air conditioning and garage. The apartment is within walking distance of a beach. This 2 bedroom apartment with swimming pool is located in Lazise and sleeps 6 people. It has WiFi. The apartment is within walking distance of a beach. Holiday apartments with small balcony near the small town of Lazise, at Lake Garda. The apartments are situated on the first (and last) floor and the access is by an external shared staircase. 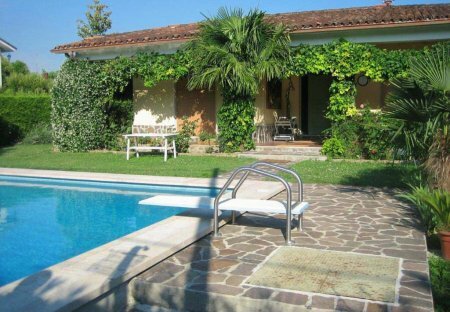 This 2 bedroom apartment with swimming pool is located in Lazise and sleeps 5 people. It has WiFi, air conditioning and garage. The apartment is near a beach.